Be a studious Commander and keep detailed notes in this hard cover journal! With 232 lined pages, the journal includes full cover Spock images on both the front and back inside covers. Save your place with the ribbon bookmark. 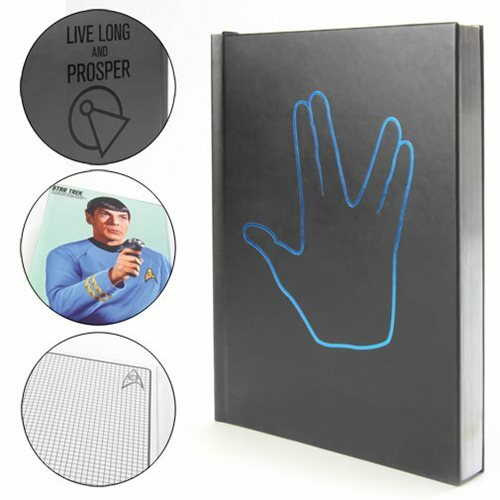 The Star Trek The Original Series Spock Hardcover Journal measures approximately 8 1/2-inches tall x 5 3/4-inches wide x 3/4-inches thick. Ages 15 and up.